Welcome to this online presentation of advanced remote controle helicopters. Many of these models can be bought in various colors, and with various canopy styles so that you can make them resamble real-life helicopters of various type and variant. You can also buy a lot of extra equipment for most of the models. By clicking on the banners for the presented products, you can learn more about the exhibited model and a lot of other models. At the bottom of this page there is some information about helicopter history. HobbyTron - a general store of RC airplanes and other hobby products - By clicing at this banner you will find many helicopter and aircraft models, and also a lot of other hobby articles. Trend times toys - a general hobby shop with many fine products for the youngest customers - This is a great shop of RC models and all other types of hobby itens for all age groups. It has however partly other models than the other shops presented, and you will find more for the youngest age classes here. 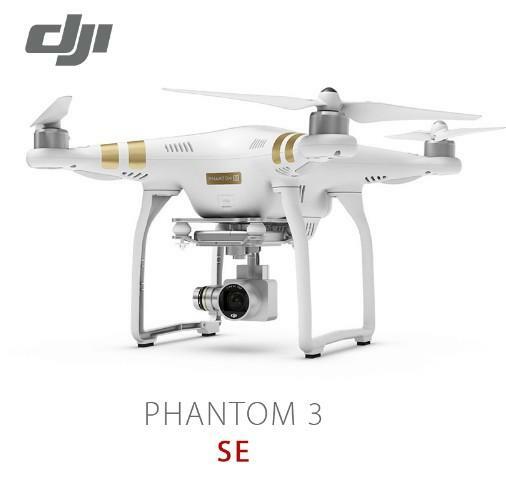 Stores with good offers on consumer electronics - and also many RC aircraft models - In addition to all kind of electronics you will also find a fine collection of hobby products you will find a lot of remote controle hobby aircraft models for an affordable prize. Most models are electric driven but there are also some nitro models. You will also find many other types of hobby items. Examples of some advanced drones and RC helicopters presented. The models are grouped into categories, and those that are most easy to fly are listed first in each group, while demanding models for experienced useres are presented last in each category. Drones or special helicopter models, like 4 rotor helicopters. Helicopter models with double rotors to stabilize the flight - coaxial blade helicopters In these models the rotor blades are fixed in a constant angle in relation to the horisontal plane. In helicopters where the angle of the blades are constant, the forrce from the rotor is controlled by the rotor speed. Some of them have two rotors over each other rotating in different direction. 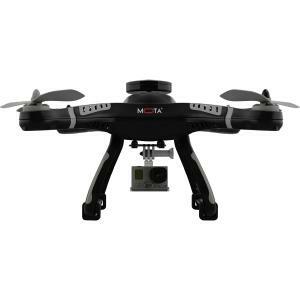 The dual-rotor system makes these stable and easy to controle. Helicopter models with single rotor and tail stibilizer rotor, some with collective pitch technology- Collective pitch means variable angle angles of the blades to controle the rotor force - these fly like real helicopters. Some of these are easy ty fly because they need only 3 or 4 control channels and automatics takes care of much of the controle. Others of these with 6 or 7 channels used to controle them are for experienced users. 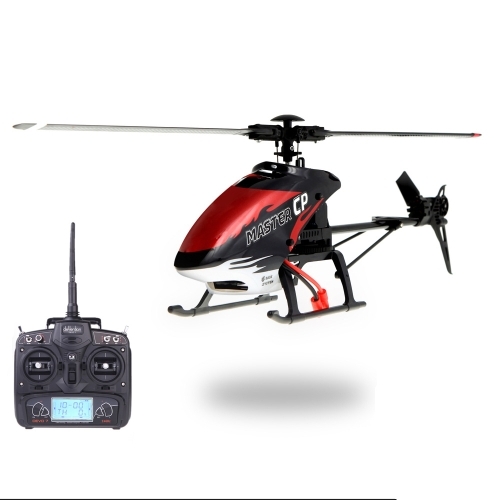 Have 4 channel helicopter fun whevever you go with the Multiplex FunCopter V2. Advanced helicopters driven by nitro piston engine or turbine. Since 400 BC, the Chinese had a bamboo flying top that was used as a children's toy. Eventually, this flying top toy made it to Europe and is depicted in a 1463 European painting. Pao Phu Tau (???) was a 4th-century book in China describing some of the ideas inherent to rotary wing aircraft. In 1493, Leonardo da Vinci first sketched a semi-practical machine, named in his "Codice Atl�ntico", that could be described as an "aerial screw". The word "helicopter" (h�licopt�re) was coined in 1861 by Gustave de Ponton d'Am�court, a French inventor who demonstrated a small steam-powered model. J�n Bah�l, a Slovak inventor, developed a helicopter model powered by an internal combustion engine that in 1901 reached a height of 0.5 meters. On May 5, 1905 his helicopter reached 4 meters in altitude and flew for over 1500 meters. In the early 1920s, Raul Pateras Pescara de Castelluccio, an Argentinian working in Europe, demonstrated one of the first successful applications of cyclic pitch. His coaxial, contra-rotating, biplane rotors were able to be warped to cyclically increase and decrease the lift they produced; and the rotor hub could also tilt, both allowing the aircraft to move laterally without a separate propeller to push or pull it. Pescara is also credited with demonstrating the principle of autorotation, the method by which helicopters land safely after engine failure. By January 1924, Pescara's helicopter No. 3 was capable of flights up to 10 minutes. One of Pescara's contemporaries, Frenchman Etienne Oemichen, set the first helicopter world record recognized by the F�d�ration A�ronautique Internationale on 14 April 1924, flying his helicopter 360 meters (1,181 feet). On 18 April 1924, Pescara beat Oemichen's record, flying for a distance of 736m (nearly a half mile) in 4 minutes and 11 seconds (about 8 mph, 13 km/h) maintaining a height of six feet. Not to be outdone, Oemichen reclaimed the world record on 4 May when he flew his No. 2 machine again for a 14-minute flight covering 5,550 feet (1.05 mi, 1.692 km) while climbing to a height of 50 feet (15 meters).Oemichen also set the 1-km closed-circuit record at 7 minutes 40 seconds. The largest helicopter ever built is the The Soviet made Mil Mi-12 (Also known as the V-12, NATO reporting name Homer). The helicopter has a rotor configuration allready tried out successfully by the germans just before the world war II. It has two rotors at the ends of two wings at each side, rotating at opposite directions. Thus they oppose the torque of each other and make the helicopter stabile. The rotors are driven by two duplex turbine angine just under the rotors. The outlet from the engines also helps to push the helicopter forewards. The twin engines were taken together with the rotors from the Mil Mi-6 and duplicated on the Mi-12. Production began on the Mi-12 prototype in 1965 with the goal of lifting no less than 30,000 kg, and it flew first on July 10, 1968. In February 1969, the prototype lifted a 31,030 kg payload to 2.91 m. On August 6, 1969, the Mi-12 lifted 44,205 kg (88,636 lb) to a height of 2,255m (7,398 feet), a world record. Another Mi-12 with the registration number CCCP-21142 / H-833 was built and shown around Europe including at the Paris Air Show at Le Bourget in 1971. Despite this, the helicopter did not meet its design specifications and the program was cancelled with only two aircraft built. There are unconfirmed rumours about a third prototype that crashed when tested. There was however a less serious crash landing during the first flight of this type which bent a wheel, but the helicopter was repaired again. It entered U.S. Military service in late 1946, and would go on to service under a wide variety of versions and designations over 3 decades that followed. Its use in the Korean War (1950-1953) as the H-13 Sioux by the United States Army would be among the highlights of its extensive career. Early models were variable in appearance, with open cockpits or sheet metal cabins, covered or open structures, some with four-wheel landing gear. Model D and Korean War types settled to a more utilitarian style. 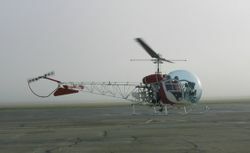 The most common model, the 47G introduced in 1953, can be recognized by the full bubble canopy, exposed welded-tube tail boom, saddle fuel tanks, and skid landing gear. Later 47H and 47J Ranger models had a regular cabin with full cowling and monocoque tail boom. Engines were Franklin or Lycoming horizontally-opposed piston engines of 200 to 305 HP (150 to 230 kW). Seating varied from two to four. Many are still in use as trainers and in agriculture (as of 2005). The British version of the 47G, called by the British Army the Sioux AH.1, was built by Westland Helicopters for use by the Army Air Corps, who used it until the early 1980s. The Sioux military version was often equipped with military evacuation panniers, one to each skid, with an acrylic glass shield to protect the patient from wind. A flying car is one of thwo things. One concept is a flying vehicle that can land and take off at any place without any restrictions and is as easy to fly as a car is to drive. Such a vehicle has never been constructed successfully, even many have tried and actually come some way. Another flying car concept is a vehicle that can be converted from a lawfully and prcatical road vehicle to a lawfully and prctical aircraft. This type of aricraft has actually been sucessfully constructed and built, but never set in regular production. Glenn Curtiss, the Wrights' chief rival, was the first to design a flying car. The first flying car to actually fly was built by Waldo Waterman. Waterman became associated with Curtiss while Curtiss was pioneering naval aviation at North Island on San Diego Bay in the 1910s. However, it wasn't until March 21, 1937 that Waterman's Aerobile first took to the air. The Aerobile was a development of Waterman's tailless aircraft, the Whatsit. It had a wingspan of 38 feet (11 m) and a length of 20 feet 6 inches (6.25 m). On the ground and in the air it was powered by a Studebaker engine. It could fly at 112 MPH (180 km/h) and drive at 56 MPH (90 km/h). Taylor aerocar is an example of a workable aerocar construction. Aerocar International's Aerocar (often called the Taylor Aerocar) was an American roadable aircraft, designed and built by Moulton Taylor in Longview, Washington, in 1949. It is the most successful and probably the most famous "flying car" design to date. Although six examples were built, the Aerocar never entered production. Taylor's design of a roadable aircraft dates back to 1946. During a trip to Delaware, he met inventor Robert E. Fulton, Jr. who had designed an earlier roadable airplane, the Airphibian. Taylor recognized that the detachable wings of Fulton�s design would be better replaced by folding wings. His prototype Aerocar utilized folding wings that allowed the road vehicle to be convertible into flight mode in five minutes by one person. When the rear licence plate was flipped up, the operator could connect the propeller shaft and attach a pusher propeller. On the road, the wings and tail unit were designed to be towed behind the vehicle. Aerocars can drive up to 60 miles per hour and have a top airspeed of 110 miles per hour. Civil certification was gained in 1956, and Taylor reached a deal with Ling-Temco-Vought for serial production on the proviso that he was able to attract 500 orders. When he was able to only find half that number of buyers, plans for production ended, and only six examples were built, with one still flying as of 2006 and another rebuilt by Taylor into the only Aerocar III. The AVE Mizar (frequently misspelled "Mitzar", but named after the star Mizar) was a flying car built between 1971 and 1973 by Advanced Vehicle Engineers (AVE) of Oxnard, California. The company was started by Henry Smolinski, a Northrop-trained engineer. The prototypes of the Mizar were made by mating the rear portion of a Cessna Skymaster to a Ford Pinto. The pod-and-twin-boom configuration of the Skymaster was an ideal starting point for a hybrid automobile/airplane. The passenger space and front engine of the Skymaster were removed leaving an airframe ready to attach to a small car. AVE planned to have their own airframe purpose-built by a subcontractor for production models, rather than depending on Cessna for airframes. According to Peterson's Complete Ford Book, by mid-1973, two prototypes had been built and three more were under construction. One prototype was slated for static display at Galpin Ford, owned by AVE partner Bert Boeckmann of Sepulveda, California. The other prototype, fitted with a Teledyne Continental 210-hp engine, was unveiled to the press on May 8, 1973. It then began a series of taxi tests at Van Nuys, California. AVE made special arrangements to do flight testing at the US Navy's test facilities at Point Mugu, California. AVE stated that FAA certification flights were under way in mid-1973. The Mizar was intended to use both the aircraft engine and the car engine for takeoff. This would considerably shorten the takeoff roll. Once in the air the car engine would be turned off. Upon landing the four-wheel braking would stop the craft in 525 feet (160 m) or less. On the ground, telescoping wing supports would be extended and the airframe would be tied down like any other aircraft. The Pinto could be quickly unbolted from the airframe and driven away. Production was scheduled to begin in 1974. AVE stated that you could drive/fly your own Mizar off the lot for between US$18,300 and US$29,000. On September 11, 1973, during a test flight at Oxnard, California, the right wing strut detached from the Pinto. Some reports say the wings folded and others say the Pinto separated from the airframe. Smolinski and the pilot, Harold Blake, were killed in the resulting fiery crash. Even though the Pinto was a light car, the total aircraft was already slightly over gross weight without passengers or fuel. One observer reported that the wing struts were attached to the car with sheet-metal screws and that, "...everything was really bad". However, in addition to poor design and loose parts, the National Transportation Safety Board reported that bad welds were partly responsible for the crash. The Aerauto PL.5C was a roadable aircraft developed in Italy in the early 1950s. It was a high-wing two-seat monoplane whose wings could be folded to quickly transform it into a car. It was different from many such projects in that it used its pusher propeller (powered by a Continental C85) for propulsion not only in the air, but on the road as well. Development was abandoned in 1953. Designed by aircraft engineer Luigi Pellarini, the Aerauto was built by Carrozzeria Colli in Milan.